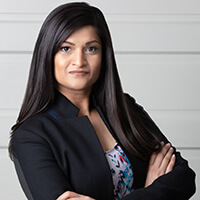 Jayni Desai Lintvedt, Belleville IL Family Law Attorney | Courtney ∙ Clark Law, P.C. Attorney Jayni Desai Lintvedt was born in India and raised in North Carolina. She received her Bachelor of Arts in International Studies - International Relations from North Carolina State University in Raleigh, North Carolina in 2010. She went on to receive her Juris Doctorate from Saint Louis University School of Law in St. Louis, Missouri in 2013. Ms. Lintvedt is admitted to practice law in Illinois, Missouri and the United State District Court for the Southern District of Illinois. Ms. Lintvedt is a member of the American Bar Association, the Illinois Bar Association, the St. Clair Bar Association and the East St. Louis Bar Association. Ms. Lintvedt primarily focuses her practice in the areas of domestic relations law and elder law. She has handled hundreds of family law cases including, but not limited to, divorce litigation, child custody determinations and modifications, parenting issues, paternity, maintenance/alimony, property division and many other areas relating to the practice of family law. Ms. Lintvedt also has extensive experience handling appeals for clients in the Appellate Court for various issues relating to family and elder law. Ms. Lintvedt works with the Southwestern Illinois Visiting Nurses Association, under the Illinois Department of Aging, to obtain or modify guardianship of elder or disabled adults for abuse, neglect and/or financial exploitation. Ms. Lintvedt practices family law and elder law in St. Clair, Madison, Monroe, Clinton and Randolph Counties. Ms. Lintvedt resides in St. Louis, Missouri with her husband, Erik.